Every week the best live radio shows on your music station. We play Italo classics and new music. The wheels of steel are ready to spin your requested songs and our choice of music so comon and join your gang! 5pm CET DoucheCo as allways with your host Michiel. Ga er maar weer lekker voor zitten Michiel draait weer de beste platen uit onze eigen klassieke hitlijst. Vandaag 1986 (nr 38). Between 7-8pm CET. A one time extra show of a former RSDH DJ filled with his favo tracks. 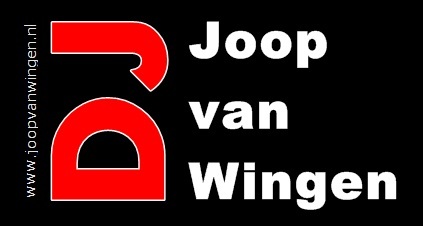 Enjoy DJ Peter van Leeuwen. This evening we will share with you many full versions of the yet unreleased new album, a masterpiece, of Italoconnection; Metropoli. Your gang chose their nr 1’s of this album. Exil, Sleeping, Horizon, Humanized, Conversation and Unbelievable. Out mid october on Bordello a Parigi, a must have. We will tell you all about it. Ofcourse many more new great tracks like OMD, Tyrants in Therapy-Sweet magic, and the best classic Italo, Hi NRG, New Wave and disco like James Brown from vinyl, a spacesynth and some clips. Presented by Menno, Gwen, Michiel & Mark. Gwen 17-09-2017 . Categories: +mix, +Stad Disco Zondag, Charts, clip, Haagse Flitsende 50, Live Show, new release, Nieuws, Sunday Live Show, vinyl. Tags: Bordello A Parigi, Charts, coen bom, Disco-Mix, DoucheCo, Electro, Fred Ventura, Fresh FM, High Energy, Italo Disco, Italo Internet Radio, Iventi Records, Live Request Show, Metropoli, Paolo Gozetti, Peter van Leeuwen Time Machine, Radio Stad Den Haag, Spacesynth, Stad Sundaynight Live, Studiocam, Tyrants in Therapy, Vinyl.